There are so many online marketing tools to choose from. Some tools are great for small businesses while other are better for big businesses. Before choosing a tool for your business, you need to consider pricing and features. 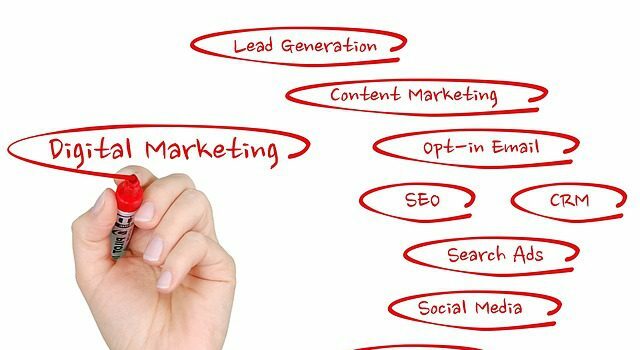 Here is a list of the top 10 online marketing tools. Every business that seeks exponential growth should provide a good mode of customer relationship management, preferably a software in the Computer Age we live in. HubSpot is one of such companies that offer modern age online marketing tools to help other businesses automate their services. In 2014, they released a Customer Relationship Management (CRM) tool that uses a freemium model. This marketing tool added a fresh perspective to the company’s offerings especially as the core CRM features come for free. They offer a lot of paid extras that can be added on as required. HubSpot is a strong solution as far as CRM is concerned. Some would term free online tools as “cookie cutter,” as they usually do not possess a lot of necessary and helpful customizable features to suit the wideness of the variety of eCommerce businesses that there are. But if all that your company requires is a good interface on which to manage contacts and dispatch interactions and information with clients and customers, then HubSpot may very well suit your needs, and more so, for free. Now, it is surely not going to suit every business type, as you’re somewhat stuck with what they give you, but if your business, large or small, can do without customization, then with HubSpot, you are good to go. The HubSpot CRM tool integrates with other products and tools by the company, and so it is a very reasonable choice if you already have other HubSpot products. Its user-friendliness is also another point in favor of this CRM solution, coupled with the fact that you can use it for free for as long as you want. 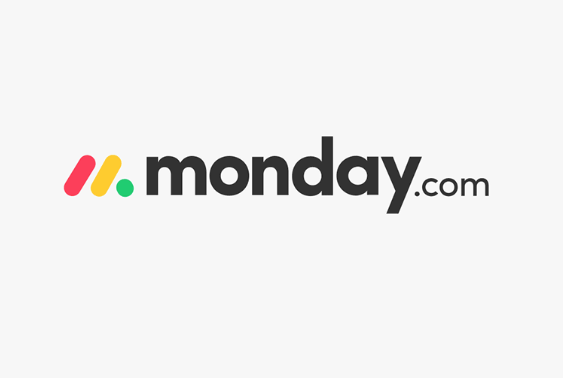 Monday.com, which was known as “daPulse,” a while back is a huge, leading, cloud-based team collaboration and project management software platform that eases workload management and communication within teams. This platform tries to synchronize all the information that the team needs in one space that is accessible to all members. This makes it possible for agents, users or team members to make rational and key project-related decisions together as a body. This team collaboration solution uses boards with different color codes that help users in instantly checking what projects are currently in progress, what tasks are done and what points members of the team may be stuck at. The boards also give information about the due dates of projects and the relationships between various assignments. A user may decide to view boards based on Status, Text, Person, Timeline or Date. This way a project manager can easily determine which users or team members are under-worked or over-worked, and so workloads can be balanced out much easier. To prevent confusion, all team communication is done on each board. The major goal of Monday.com is to streamline contributions and help teams and departments increase their performance. Also worth noting is this tool’s method of assembly and display of progress data in a way that is logically comprehensible to all players, so that everyone can be up to date as it concerns company projects and operations. Monday.com encourages all team members to ensure that they contribute to team tasks and assignments including those that are not directly related with their company roles. One of the most distinctive features that is probably the greatest selling point of Monday.com is its amazing and immense ability to eliminate a business’ need for endless paperwork, while ensuring that manual errors are also eliminated, and making the business brand in question more uniform, reliable and trustworthy in the eyes of their potential market. Pipedrive is a customer-relationship management (CRM) tool that is centered around increasing sales for small companies and businesses with limitations in tech support. This tool is a very user-friendly CRM solution as it is super easy to set up and use, with integrations that do not require any level of coding at all, and inbuilt features to help users in monitoring their pipelines as well as give them adequate sales reports and forecasting. With Pipedrive, no contracts are needed and the user interfacer (UI) is super smooth and visually appealing. It is a great and largely customizable tool for gathering data as well as organizing it. In fact, just about anyone can jump right into using it, and yet it is a tool that your business can grow and develop with. The smartness and practicality of the user interface (UI) of Pipedrive makes it very easy for users to get accustomed to, and this means that it can save you time, stress and expenses in terms of the training and on boarding that is highly necessary with some more complex CRM tools. Pipedrive does a great job in terms of CRM for small to mid-sized business (SMB) ventures. In the world of CRM, one name that you’ll keep coming across is Salesforce. Salesforce is a widely acclaimed and appreciated customer-relationship management (CRM) tool that was designed by the Salesforce group established in 1999 and headquartered in San Francisco, California. The functionalities of many of the products the company offers overlaps, as they are all centered around how customer data can be effectively channeled to drive business success. 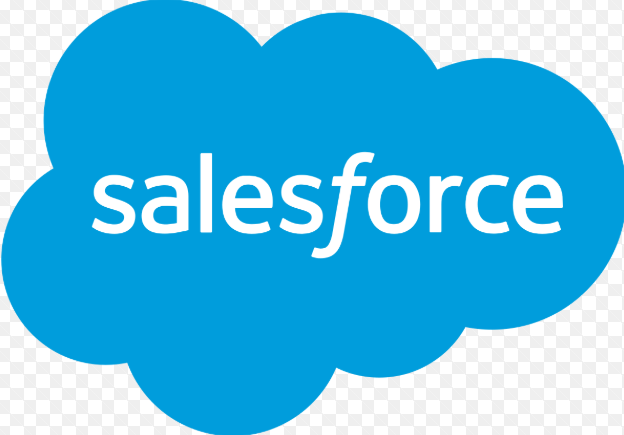 Saleforce.com is fully automated and can help users to optimize their CRM by providing the necessary data for highlighting the best leads and determining the distinction between losses and wins in terms of business deals. The Salesforce crm software is generally considered as the standard CRMtool, and it is arguably the best overall CRM solution that there is. With over 20% of the market patronizing Salesforce, it is indeed something of a household name in customer management. The richness of its features, third-party integrations, and supplementary possibilities make it perfect for big enterprises with diversifies and ever-changing needs. Immediately you finish implementing it, Salesforce provides you a wonderfully constructed CRM product that is fast, effective and vastly customizable. A lot of businesses choose Salesforce when they have grown out of lighter-weight CRM tools, which may be somewhat effective for smaller enterprises with basic requirements, but do not provide that extra allowance for customization, and more specialized features that are needed by bigger companies. As well as providing a wider range of inbuilt elements, Salesforce also provides an all-around world of business products that go way beyond business tools. The fact that you can create business management systems, automate your B2B marketing network, as well as field your employees using a single SaaS provider is a huge sales pitch for Salesforce. However, the costs mount up quite easily while working with big business management platforms like Salesforce, and so it is wise to consider adopting a unified method. Campaign Monitor was created by web designers Ben Richardson and David Greiner while they were still at the undergraduate level, as a solution to their inability to find the tools they needed in any existing email marketing tool. They began to design Campaign Monitor in 2004 essentially for their own use. However, they eventually released their brainchild service to other unsatisfied businesses and designers. Right now, more than 120,000 users are subscribed to Campaign Monitor, including the likes of Coca-Cola, Disney, Buzzfeed, Airbnb, and the San Diego Chargers. Campaign Monitor is centered around streamlining all aspects of email marketing. It is a truly brilliant concept. Ease of use and practicality were key in the design, but it is also quite obvious that the designers wanted to create something beautiful. This cloud-based software is both functional and well-designed, which is a combination that a lot of software design companies try to do, but don’t always succeed in doing. The best thing about Campaign Monitor is that you can get the full experience right after you sign up. No key feature, including auto-responders and reporting on the software, is restricted to paid users. Although the software has its own shortcomings especially for more experienced users, enterprises seeking an email service provider to meet most of their marketing needs with the negligible hassle, could find Campaign Monitor really useful. iContact is one of many email marketing tools held up by business owners for its unique services that are said to complement the growth of your business. iContact accomplishes this fit by making it very easy for you to communicate with your customers. Add that to many other premium services such as design for marketing campaigns, customer review, product design (and redesign), surveys and general customer engagement, and you can start to understand why iContact is loved by so many. Of course, the ‘buts’ are as present as they are with any other service. The choice tool of the iContact service is email marketing. And while there are numerous already used methods and many more conceived ideas on marketing a business, email marketing has a great number of advantages that have contributed in one way or another to the most successful businesses around. Appraising email marketing services, however, is tricky business. One major reason for this is that the features of email marketing services are not as confined as with other services. They commonly propose various plans that can deal with many settings or business situations. Yet, iContact is recognized among email marketing services like MailChimp or Campaigner for its unique services even though it might not compete well with the more illustrious names. One of such unique services that set iContact apart is that, this service (which starts at $14/month), provides quality cover for email campaign tracking and creation. It doesn’t end there though, iContact also has unsurpassed class in terms of social media coverage it provides. The most compelling reason most users have admitted to having caused their attachment to this service is that iContact promises that you can send an unlimited number of emails. This package alone is enough to give it a naturally prouder look among its peers. If only the market it existed in was not one as competitive as email marketing. GetResponse is one of the earliest email marketing platforms and retains its popularity as a top-quality solution, with a variety of features that allow the importation and hosting of a mailing list, the creation of newsletters that you can send to your list, email automation using auto-responders and viewing and analyzing your stats and reports. When the company started, its operations were exclusive to Europe, but within the last ten years, GetResponse has made a concerted effort at expanding to the American market. More than 350,000 businesses from all over the world now employ the services of GetResponse as their e-marketing solution, including the likes of Marriott, GlaxoSmithKline, the Blue Man Group and Hilton. More recently, GetResponse’s interface is evolving to the stage where it is fast becoming an all-in-one email marketing package. The company now hosts webinars, features landing pages and performs customer relationship management (CRM) functions as well. The GetResponse software is quite friendly, even for people without any experience in email marketing. Featuring many amazingly helpful options for a very practical price. The entire feature set is accessible by all users, no matter the size of their list. GetResponse gives you access to extensive A/B testing options, the ability to segment your lists with one click, as well as a remarkably useful set of tools and analytics. While e-marketing is not exactly rocket science, MailChimp was established in 2001 by The Rocket Science Group. It is a cloud-based email marketing platform founded by Mark Armstrong, Ben Chestnut, and Dan Kurzius. They started the software on the side, but it blew up quite quickly. MailChimp is presently the central point of The Rocket Science Group, even as the group continues to develop other applications. MailChimp is pretty well-known for its knack for combining pleasure with serious work. To be perfectly honest, MailChimp is among the most prominent brand names in email services. The free option this marketing solution provides is probably the best one you’ll come across. If you’re willing to pay, you get even better e-marketing tools at your disposal, some of which include auto-responders, spam filter diagnostics, segmentation of lists by time zone, and several tools to help you integrate the software with social media. More than six million people are subscribed to MailChimp, from community groups to reputable firms like Vice UK, TED, and The Economist. About 5 billion emails monthly are sent out by MailChimp. The company keeps improving on its services and making them more adaptable. MailChimp is completely cloud-based and also offers a mobile application for both iOS and Android devices. MailChimp provides for both small start-up businesses and large firms and corporate bodies sending out millions of emails monthly. It appears, however, that the company is paying more attention to marketing for smaller businesses as they have stopped a lot of their high-volume pricing plans. So much of the material on their website is currently aimed at helping beginners instead of more experienced professionals. SEMrush is an all-encompassing search engine optimization (SEO) and keyword research tool that provides a far-reaching range of features and functionality in terms of keyword research, monitoring of ongoing search position, and crawling. With SEMrush, owners of small- to medium-sized businesses get about all that they require for the management of an efficient SEO plan. In fact, SEMrush is suitable for any organization having a website that they want people to gain from. The importance of SEO can no longer be overemphasized in the world we now live in. Gone are the days of organic social reach. If you want things to work, you have to take the right steps to make them work. It is extremely important for any website to generate free, targeted traffic from search. But, owing the computerization of our age, it is also more difficult to achieve than it used to be. Using a specialized tool for SEO is the way to go, and SEMrush is one of the great ones that you can lay your hands on. You need to be able to know if your ranking in search results is rising or falling. You also have to monitor just how many people are searching for a particular topic or keyword and what websites backlink to similar sites. Knowing what topics to create your content around is one online success key that cannot be neglected. If you are able to tell how much traffic competing or similar websites are gathering, you can better determine what steps to take. SEO tools also inform you if there are any technicalities that are constituting a hindrance to your SEO. And one tool that can help you achieve all of these is SEMrush, one of the leading products in the SEO industry. SEMrush provides so many analytics that are crucial to your SEO strategy. One of the most time-consuming online tasks you could ever get involved in is keyword research. 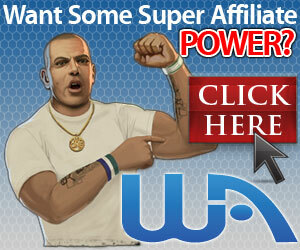 Yet, it is one that you simply can’t do without if you hope to get free traffic from search engines. While developing your content, you need to choose target keywords that get search frequently enough, but won’t be so difficult to rank. Without appropriate keyword and topic research, you’re pretty much on a blind goose chase. Every post you make would be based on guesswork as it pertains the needs and interests of your target audience and what is on demand. So many newbies to the SEO and internet marketing world get their keyword research totally wrong, although there is a plethora of tools to choose from. Whether or not you are familiar with your niche, keyword tools can be very helpful in the discovery of new and associated phrases to focus on. You also gain insight as to what pages would potentially gain the greatest traffic, so as to determine what areas to target in your marketing efforts. Jaxxy.com is a brilliant keyword research tool that can help get your website content ranking on the first search results page of any search engine. It can help give you the most rewarding niche ideas in a matter of seconds. You get to know the number of searches for a particular term or phrase each month, so you know what keywords to go for. Jaxxy.com also lets you know just why your competition is outranking you as well as exactly what you need to do to get ahead of the game. Jaxxy is great because you don’t need any software to download it. It also is very simple to use, produces correct and real-time results, and all in all, using it would save you a lot of time.